Viewing financial records electronically has become a key element in today’s banking world. As this need for electronic banking has grown, advanced security systems are also needed. The Bank of St. Croix utilizes two firewalls to validate the flow of information between your PC and our computer system. 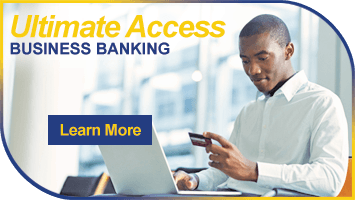 Secure Socket Layering (SSL) utilizes authentication and encryption technology and acts as an immune system to protect the bank’s information platforms from unauthorized individuals. This system is managed and maintained 24/7 by a team of computer operations specialists. When you login for the first time, you will be prompted to change the PIN to a new, private PIN of your choice. Your private PIN must be at least 8 digits in length and contain at least 1 alpha and 1 numeric character. The PIN is case sensitive. Do not give your PIN or password to any outside source. The Bank of St. Croix requires the use of a browser that supports 128-bit encryption. 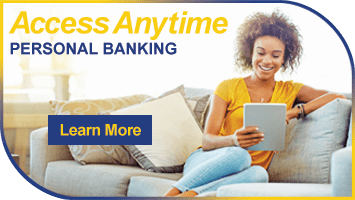 The Bank of St. Croix’s online banking services, Access Anytime Personal Banking and Ultimate Access Business Banking, are secure sites certified by the VeriSign Secure Site Program.